The peak hiring season in German schools varies depending on the area an ESL teacher is moving to. Smaller cities in former Russia-controlled East Germany like Leipzig, Dresden, and Erfurt are in more need of American ESL teachers than the more popular destinations of Berlin, Munich, and Hamburg. Many ESL teachers in Germany have found more success applying to teach in smaller cities and have found these towns to be excellent places to learn about the culture and history of Germany. The German school year is much like that of its American counterpart. The school year is divided into two semesters and children have a summer vacation which usually ends in the middle of August. The best time to apply for an ESL teaching position at a public school is at the end of the summer and Christmas vacation. Private language schools offer German and native English-speaking children an English school curriculum in a German setting. In order to attend these schools, students must pay tuition costs which can reach 16,000 Euro a year. International schools often feature a wide range of students with an equally wide range of English knowledge. For nearly 20 years, the Bavarian International School has been offering an English education to residents of Munich. Located in the historic Schloss Haimhausen mansion, students are surrounded by some great examples of German countryside. Classes are offered to students from preschool age to grade 12. There are 650 students enrolled at the school with 42 nationalities represented within the diverse student body. Government studies have shown that the Rhein-Ruhr region has the fastest growing English-speaking population. The International School of Dusseldorf is located within this region. Starting at the age of three and continuing up to Grade 12, the 111 staff from nine different countries teach students in English, German, French, Spanish, Japanese, and other languages. With Germany emerging as one of the wealthiest nations in Western Europe, the desire to learn the language of business is extremely high. One of the most popular options for ESL teachers in Germany is teaching business English to adults. It is much easier finding freelance work as an ESL teacher in Germany than finding a position as an 'Angestellter' (a full-time teacher position with a school) and usually the pay is better if a foreign ESL teacher manages to keep busy. Generally, teachers with more teaching experience and an understanding of the German language will earn a higher wage than those without these competencies. Those new to teaching ESL can expect to receive 15-20 EUR for a one-hour lesson; these wages can double with more experience, an understanding of the German language, and a good reputation. 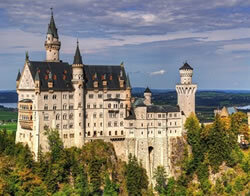 - Getting to Germany is expensive, so taking time to research airline prices and schedules could be very worthwhile. In addition to finding the airline with the best price, try to find one with minimal layovers. The Internet is an excellent resource for ESL teachers when looking for the best deal on flying to Germany. - Go through belongings: while it would be nice to bring everything in suitcases across the ocean, it's not practical. Airlines usually have baggage weight limits and exceeding these limits can be very expensive. Pack wisely and pay attention to the latest luggage and customs rules. 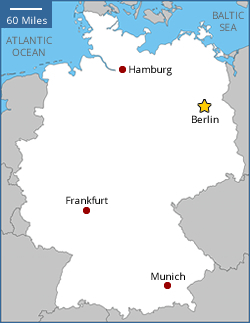 - ESL teachers should find maps of the German city they will be teaching in. Use the Internet and find transit maps, restaurants, grocery stores, drug stores, hospitals, and any future workplace or apartment. - Traveling to Germany to teach English can be expensive and there are not as many jobs as in other markets. It is usually best to save some money before leaving to be sure that all bills can be covered until an ESL teacher gets settled in. 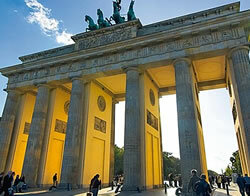 Having saved money is also part of the requirement of getting a German working visa. - Moving to the other side of the world usually means that ESL teachers must find someone they trust to manage their finances while they are gone. Some choose friends/family that they know and trust and others opt to speak to a professional financial advisor. English teachers coming from another European Union nation will not experience any major issues when applying for the needed paperwork. Those coming from the outside the EU will realize that there are many hurdles to being able to teach English in Germany. Remember, any stay longer than 90 days requires a German work visa. English teachers from Canada, Australia, New Zealand, and Japan can work in Germany for up to one year with a German Working Holiday Visa. Americans have two options when it comes to obtaining a German working visa. English teachers can apply at their closest German embassy or consulate. Another option is to arrive in Germany and then start the visa application process. Every Aufenthaltstitel (German work visa) includes information concerning when the visa holders' permit expires, any conditions or restrictions, a color photo, and a stamp of approval from the Aliens Office issuing the visa. An application for an Aufenthaltstitel will typically cost about 60 Euro. Prices vary depending on the length of time the applicant is applying to stay for. Future English teachers applying for their visas in America should expect to wait one to three months for an application to be processed; again this is quicker than many European nations. Many Americans seem to have better luck when applying for a visa in Germany, but beware that applicants who choose this method must get their residence permit before their 90-day tourist visa expires and will need a German address. - All areas of the application completed; when applying in the United States applicants will need to fill two applications. - If applying in Germany, be sure to have evidence of a German address available. To do so, bring the 'Anmeldebestatigung' issued by the 'Bezirksamt'. - A letter from the applicant's future employer stating that a job has been offered; be sure to fill out the matching work permit application (part of the visa, not a separate card like in many EU nations). - Bring recent and past tax information, bank statements, and other financial documents that show a healthy money situation. - The public health system rarely covers Americans; bring evidence of private health insurance which is going to provide full coverage while working in Germany. - Bring cash to pay for the application. - Any additional documentation which was requested before the application appointment. 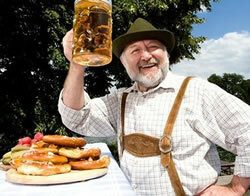 Germany has working holiday visa agreements with Canada, Japan, Australia and New Zealand. This visa is meant to allow citizens from other nations to vacation in Germany and work at the same time to help maintain their travel costs. Applicants must be between 18 and 30 years of age. The maximum amount of time that someone can spend working one job is 90 days. This visa will expire after one year, so those interested in staying longer will need to research other options. Before being issued a Working Holiday Visa, ESL teachers must prove that they have money in the bank and have enough to pay 250 Euro for each month of the stay to cover living expenses. All EU citizens have the right to work and live in Germany without a work visa. English teachers from the EU simply need to visit their 'Einwohnermeldeamt' or' Burgeramt' (residence registration office) in the local German city hall and register with a German address. Consulate general offices are located in major cities and offer full services including consular services. Honourary consulates offer a limited range of services including consular services. A full list of German consulates in Canada can be found at:http://www.ottawa.diplo.de/Vertretung/ottawa/en/02/Oeffnungszeiten/missions__Seite.html.